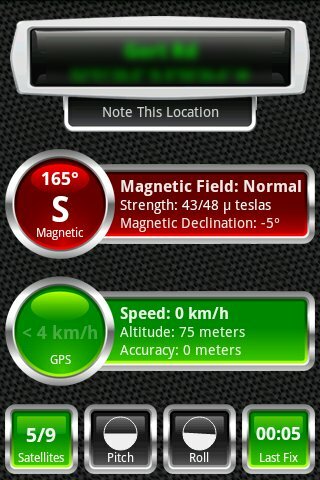 With my Spica freshly upgraded to Android 2.1 (I570EXXJE1), one of the first improved feature I tried was "Maps". - The ability to retrieve the places saved with Google Maps ("My Maps") from the list of displayable layers. - The ability to get spoken turn-by-turn directions with the new Navigation tool. So I loaded my kml files stored in iGO program into Google Maps, and did some cleanup. The resulting list could then be seen and used on Spica. One think was missing to be a complete solution: a way to export those places into a file. 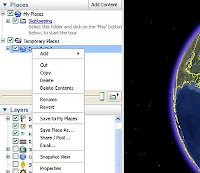 - Open a map saved under "My Maps" and click on a custom map. - The "View in Google Earth" option appear on the right. - Click on that link and the browser should give you the option to save the file (or doing a right click "Save link as"). The link inside the file lead to a kml file, you just need to adjust the url for use on your browser as explained here. If instead it opens in Google Earth, that's fine too. 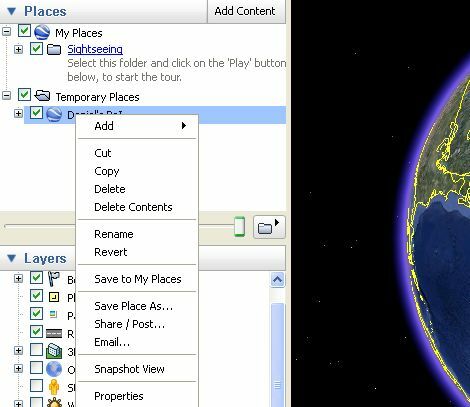 Once in Google Earth, you can right-click on the map name under the Places section and open the properties to retrieve the url to the kml file. This url can be pasted as is in the url field of your browser, which will download the full kml file. You have your backup. While the phone actually gets the GPS fix within the minute (as seen with Compass screenshot below), Google Navigation screen will constantly display "Searching for GPS...". In that state, it will not initiate the speech guidance, except to tell you sometimes "GPS signal lost" (notice the contradiction with the on-screen message). 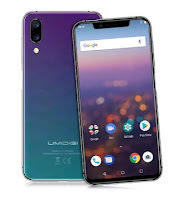 Some suggest that it happens when another application or widget uses the GPS, but even on a fresh installation of Android firmware and no interfering application, this bug persist for most users. 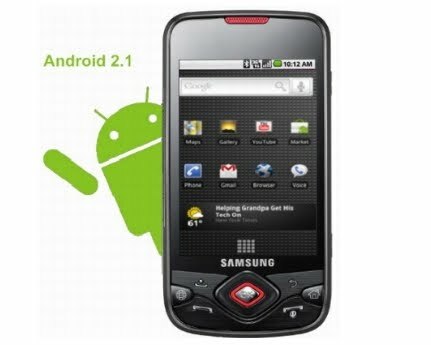 This is not confined to Spica, even the Nexus One is affected. Hopefully it will eventually be sorted. 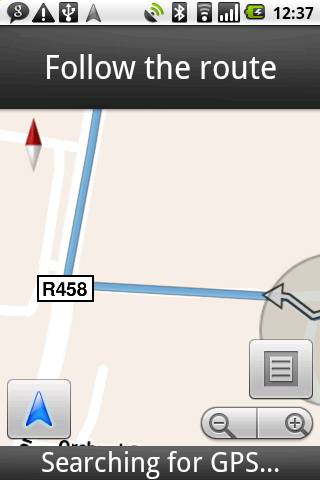 Beside this bug there's another important point: Google maps goes online to get its informations. A software such as iGO works completely offline. Something to consider when roaming!